Water has always been an important part of human existence and it’s no different in today’s world. From being a healthy drink, to its usefulness in everyday chores like laundry and cleaning, water is essential to our health and quality of life. Not all water is created equal, however. In many areas of the country, water supplies contain hard water. A simple definition of this is water that contains more minerals than typical water. Specifically, hard water contains higher levels of dissolved calcium and magnesium. How is hard water classified? Fortunately, there IS a solution for hard water – remove the mineral ions that make it hard and the water becomes soft. This is usually accomplished through the use of a water softener. What types of water softeners are available? Automatic Systems – typically used for treating all the water in a home or business. Water softening takes place on site within the installed device. Portable Exchange Tank System – soft water is delivered via a tank which is then exchanged periodically by a qualified technician. Depleted tanks are taken to an offsite regeneration facility. Reverse Osmosis – this type of filtration system is typically used to soften water in one location, such as at the kitchen sink. A whole house water softener would then be used for the rest of the home. 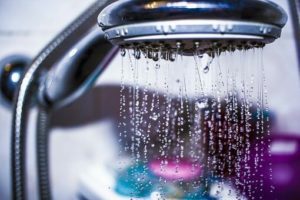 What if I don’t have a water softener? Some individuals prefer not to have a water softener because they don’t want to maintain it, and others can’t have one due to local restrictions or because they are renting. In these cases, the perfect water softening solution is our Portable Exchange (PE) Tank Service. If hard water is in your home or business, give us a call today and we’ll help you get started with the best water softening solution that meets your needs. There’s no reason to keep living with hard water! Free Soft Water Service – It’s TRUE!